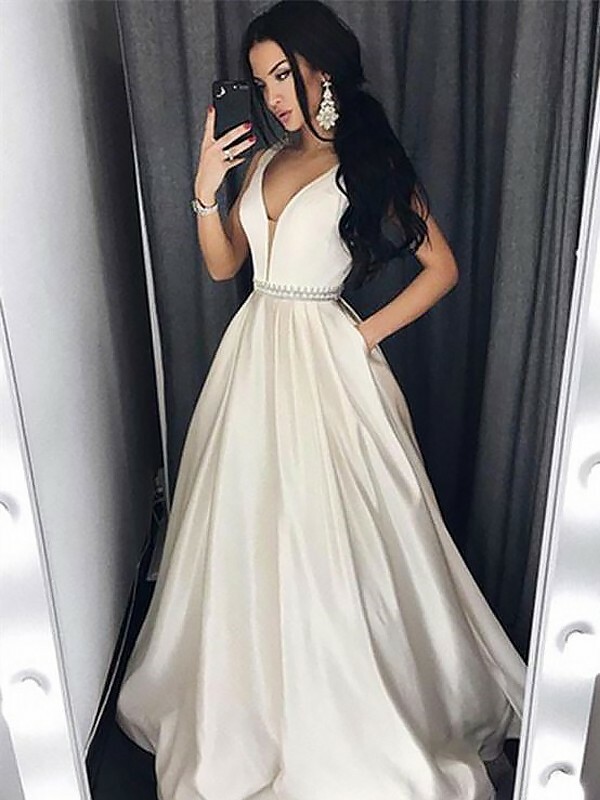 Cheap White Satin V-neck A-Line/Princess Sweep/Brush Train Dresses in Evening Dresses - Special Occasion Dresses at Bonnyin.co.za online South Africa with high quality and affordable price. So hot to wear this dress to parties. Received many compliments. 100% recommend! This dress was beautifully made with very high-quality material, and a perfect evening outfit.